The only way to achieve a perfectly flat, smooth and sealed hardwood floor is by sanding and finishing the floor boards on site. Our line of premium unfinished flooring is precision-milled using the highest quality equipment available in order to make installation go smoothly. We stock a variety of stunning exotic unfinished flooring products from South America and Southeast Asia in our warehouses around the country. 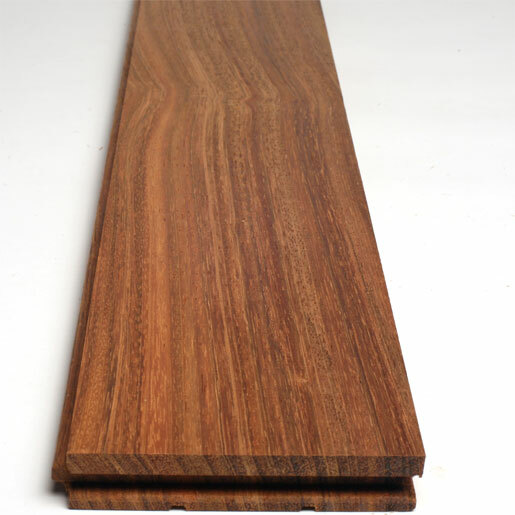 We specialize in unfinished tropical hardwood flooring from South America, including Brazil, Paraguay, Peru and Bolivia. Every good flooring product starts with proper kiln-drying and conditioning to achieve a consistent moisture content and equilibrium within and between the boards to be milled into flooring. Each high-density tropical wood species is a unique individual that requires specialized kiln-drying and conditioning techniques that vary species to species and can be vastly different from the drying of domestic temperate hardwoods such as Oak, Ash, Maple and Walnut. 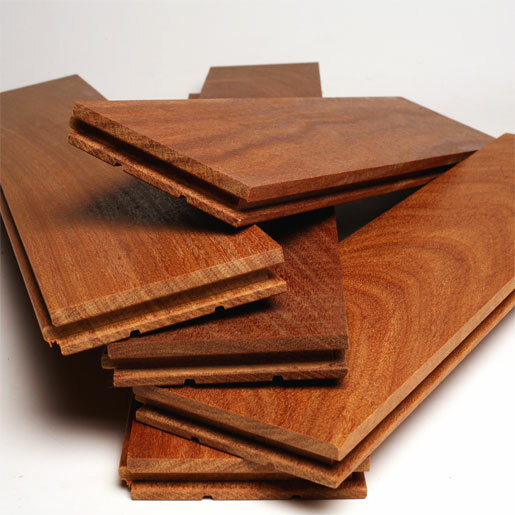 Moisture related issues comprise the vast majority of hardwood flooring problems and complaints such that expert kiln-drying is a most critical factor in production of any top quality hardwood flooring product. The kiln-drying process begins with our rough lumber flooring blanks being air-dried for a time prior to entering the kilns. Air drying the boards in advance slowly removes free moisture from the wood so that it isn’t “shocked” when it enters the kilns. Proper air drying also brings the lumber moisture content down to its fiber saturation point, which is typically around 25% moisture content, thereby allowing the lumber to enter the dry-kilns with all of the pieces at approximately the same starting moisture content. The tropical exotic lumber then enters dry kilns which feature variable speed and reversible fans for consistent airflow; high quality uniform-size stacking sticks to maintain board flatness; and electronic in-kiln moisture meters and computer-controlled scheduling to assure proper heat and vapor treatment and adjustments to address the specific drying needs of the species and specification being dried. The drying process is critical, and therefore never rushed. Before the material is deemed “ready for milling” it must go through both equalization and conditioning steps to ensure the moisture content is uniform across the entire lot. At all phases of the manufacturing process after kiln drying, our material is kept in a humidity controlled environment. We pride ourselves in producing a product with a consistent and uniform final moisture content; our high quality kiln drying permits the minimum amount of equalization time on the final job site without worry of excessive movement, shrinkage, expansion, or gapping. We still recommend a minimum of two weeks of equalization on the job site prior to installation. Because solid hardwood will always move with changes in moisture content, many problems related to exotic hardwood flooring are caused by variations in humidity or moisture content. These changes in the moisture content of the wood can cause movement, shrinkage, expansion, gapping between boards, cracking and checking. Extreme changes in moisture can lift the finish right off the wood itself. Nova’s milling quality is the best in the industry. Our production lines use only the finest molders imported from Germany and Italy and set the standard for milling quality and tolerances. These molders use the latest in computer aided set-up including the electronic grinding of knives for the perfect “jointed” finish. Jointing is the process of equalizing all cutting knives in the molder head so that each knife cuts an exact and equal amount; a technology that results in the smoothest surface finish possible. This process also eliminates the “chatter and tear-out” marks found in many hardwood flooring productions. In sum, these milling practices result in a much easier installation and finishing process. It is critical to flooring performance that jobsite conditions are correct prior to the acclimation and installation of Nova’s unfinished solid wood flooring. The moisture content of the wood subfloor or concrete slab should be tested upon delivery of the material to the jobsite. This is especially important in new construction where subfloor moisture content may still be in flux. We recommend that the jobsite moisture conditions are noted on the delivery paperwork. Material should always be acclimated on the jobsite to “normal living conditions” prior to installation. We recommend a minimum of 10 days of acclimation, however, areas with high humidity or low humidity may require longer moisture equalization times. The job site should be held at a consistent humidity and temperature during acclimation and installation and those conditions should approximate the normal living conditions expected in the home. Never install hardwood flooring prior to installing a fully functional HVAC system. The building should be fully sealed with windows and doors and overall relative humidity in the home should approximate normal expected living conditions. Wood flooring can and will move slightly with variations in temperature or humidity; such changes may cause popping or cracking sounds in the floorboards. Unfinished flooring requires sanding and finishing on site. This should be one of the last steps in new construction, completed just prior to move in by the new homeowner. It is very important that newly finished floors are treated with care for the first few weeks to allow the finish product time to fully cure and harden. Removing shoes is recommended for at least the first month after finishing. Heat will also speed the curing process and it's common for an installer to recommend leaving the heat in 80's after finishing, before the occupants return to the house. 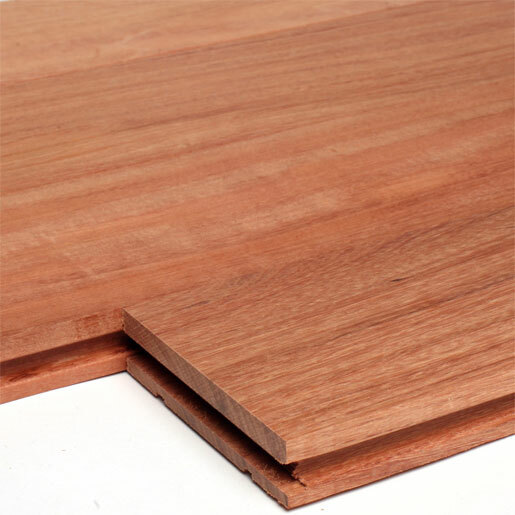 Wood floor finish products should always be used in accordance with guidelines provided by the finish manufacturer. All products in the Elemental Flooring line are produced with the utmost care and concern for the environment. From the tropical forests of South America and Southeast Asia to the deciduous forests of northern temperate regions, we engage in only selective and highly sustainable harvesting practices to ensure the continued health and prosperity of the forests we all rely on. The wood industry plays an important role in the preservation of the world's forests by providing value and jobs in forest regions. By providing an economically viable alternative to clear cutting land for agricultural use, the wood industry supports the long-term preservation of the world’s standing forests.